What’s a girl to do when she wants something simple to do to pass the time as a (short!) study break? 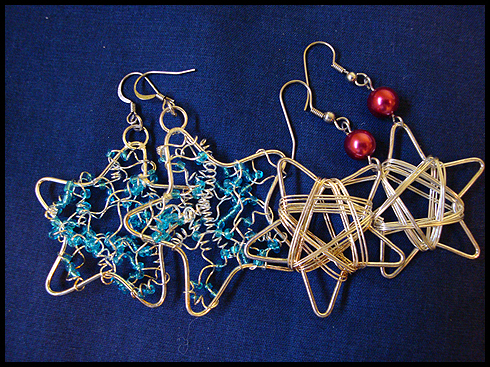 Obviously, make some earrings! 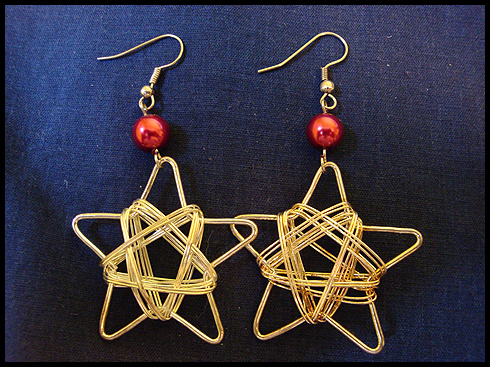 First up is silver plated wire-wrapped stars paired with red pearls and base metal findings (eyepins and fish hooks). 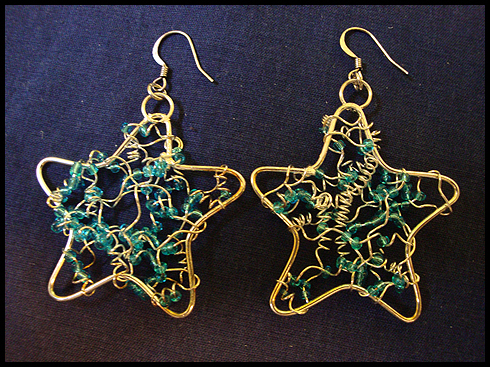 Next is upcycled wire-wrapped stars with curled wire and glass translucent blue seed beads. Antiqued silver fishhooks and base-metal jumprings. Group shot! The blue stars are larger than the silver plated stars.